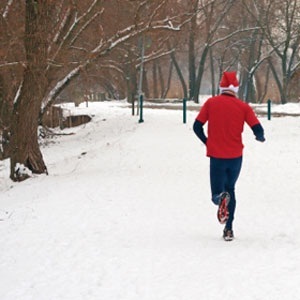 For those who make running a part of their daily routine, right winter dressing is very important since our body demands extra protection from the cold when we are out of the comfort of our house. The right dressing can prevent you from getting cold and all the health problems that come as a package with it like cough and fever. This makes it very necessary that you cover up each part of the body smartly without getting too bulky to interfere in your running. 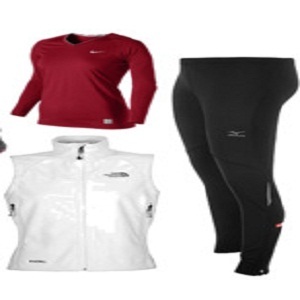 Have a look at our step by step guide below for winter running dress ideas. The preparation starts with the head. Wear a cap of breathable material that also covers your ears. Most of our body heat is lost through our head so it is very necessary to keep it covered. Wool and fleece are two recommended materials. You can also add balaclava which covers a part of your face, at times showing only your face for extra warmth. You might even take a scarf or muffler to cover the neck part. Wear clothes in thin layers instead of one bulky one. The layers help trap air inside and provide you warmth. They also allow sweat to transpire easily. The First Layer: The first layer should be of a material that does not absorb sweat and passes it on easily to the next layer. Such material can be DryFit, Thinsulate, Thermax, CoolMax, polypropolene, or silk. Avoid cotton because it will absorb sweat and keep wet. Wear long sleeves. The Second Layer: The next layer should be an insulating one like Akwatek, Dryline, Polartec, polyester fleece, Microfleece, Thermafleece and Thermax. The Third Layer: The third one should be water and wind proof against harsh weather. This should preferably be a zipped one like a jacket and hood which you can zip up and down. 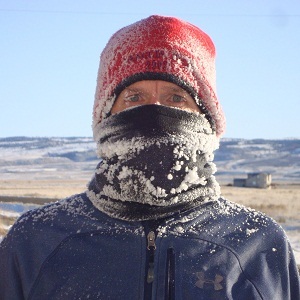 If you feel hot during the run, you can always take off the upper zipped layer. Pants: Wear any kind of pants that you are comfortable with. A pair of tights or running pants made of synthetic material such as Thermion, Thinsulate, Thermax and coolmax will do. If it is extremely cold you can consider a first layer of tights and another layer of running pants. Wear gloves for cold weather. 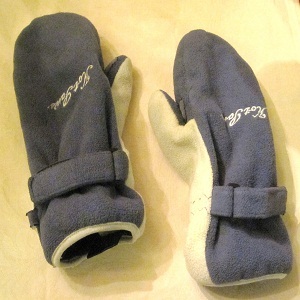 Mittens are better than gloves for extreme temperatures because they include the fingers in the heat share. Wear socks made of wool and acrylic. Avoid cotton socks. For shoes get shoes that are preferably water proof and have little mesh. The mesh leads to water seepage into the shoe. Sturdy sneakers will do great.